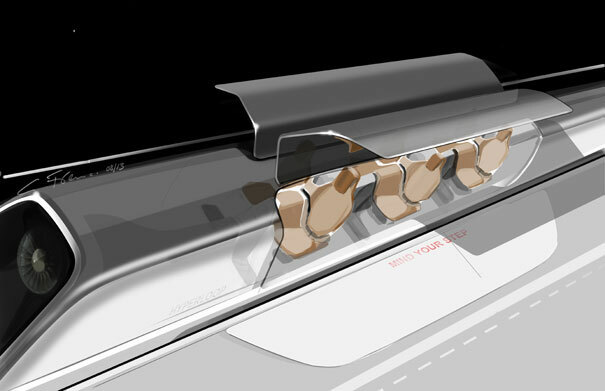 Elon Musk, co-founder of PayPal, Tesla Motors, and SpaceX, unveiled today the first design for his Hyperloop transit system. 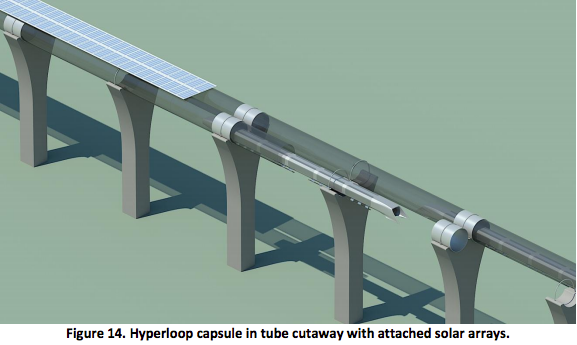 Based on his vision and what he tells Bloomberg Businessweek, the new form of transportation would be a solar-powered, city-to-city elevated transit system. 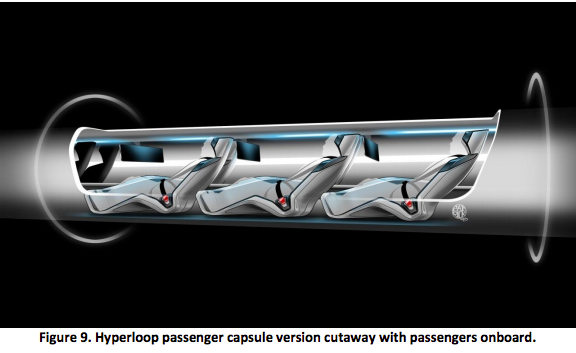 Passengers on embark on this 800 miles per hour ride through a steel tube sitting in an aluminum pod. 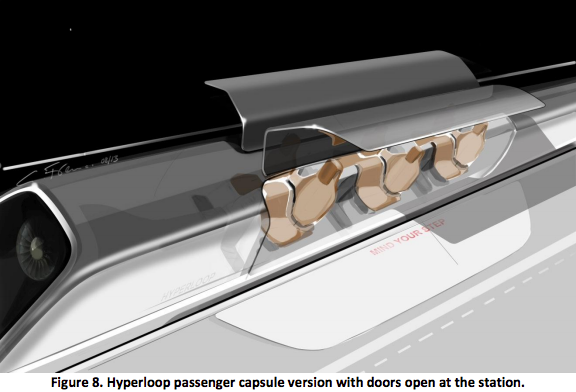 Musk estimates that cost will be between $6 to $10 billion to create the Hyperloop, but believes tickets would be “much cheaper” than traveling on Amtrak. 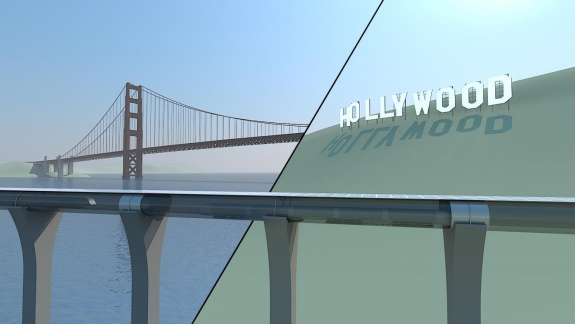 The tubes would, for the most part, follow I-5, the dreary but direct freeway between L.A. and San Francisco. Farmers would not have swaths of their land blocked by train tracks but could instead access their land between the columns. This system I have in mind, how would you like something that can never crash, is immune to weather, it goes three or four times faster than the bullet train… it goes an average speed of twice what an aircraft would do. 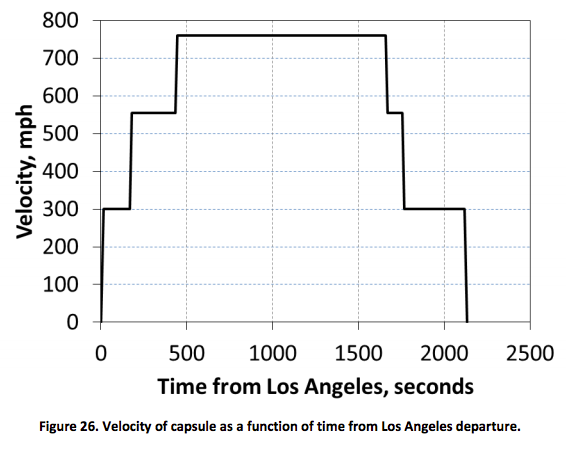 You would go from downtown LA to downtown San Francisco in under 30 minutes. For those that may be unaware, the normal driving time between Los Angeles and San Francisco is typically six hours (it’s less than two if you’re flying). 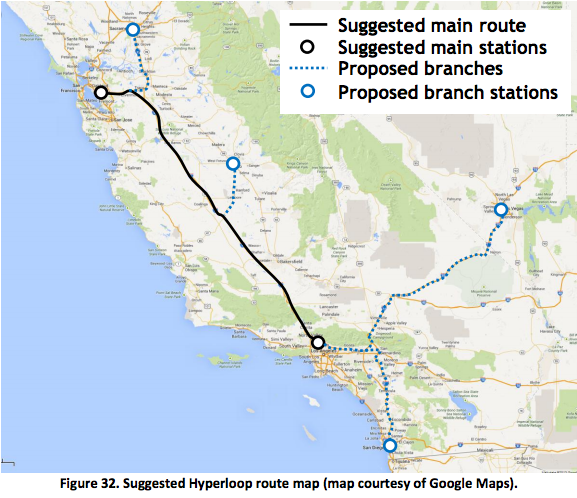 Based on Musk’s initial plans, the proposed route the Hyperloop would take will have mostly elevated rails. It would also consist of a 15.2 mille tunnel. 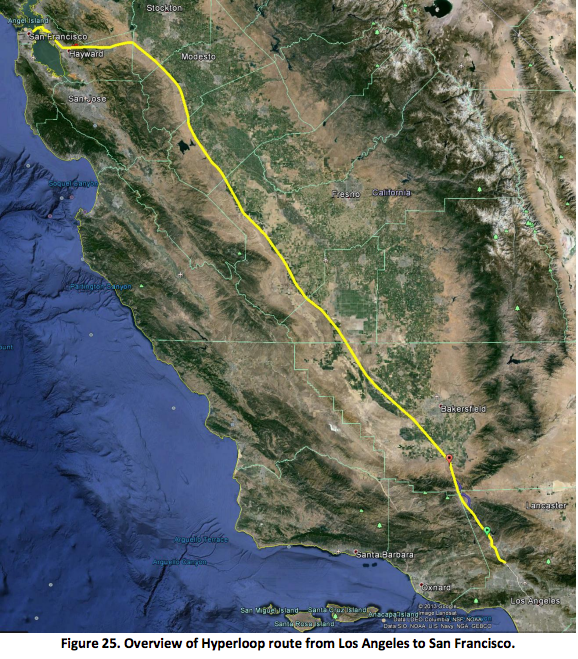 It will travel along Los Angeles/Grapevine (North and South), the I-5 corridor, and the I-580 in the San Francisco Bay Area. Major stations are going to be planned in Los Angeles, San Francisco, San Jose, San Diego, Sacramento, and Fresno. 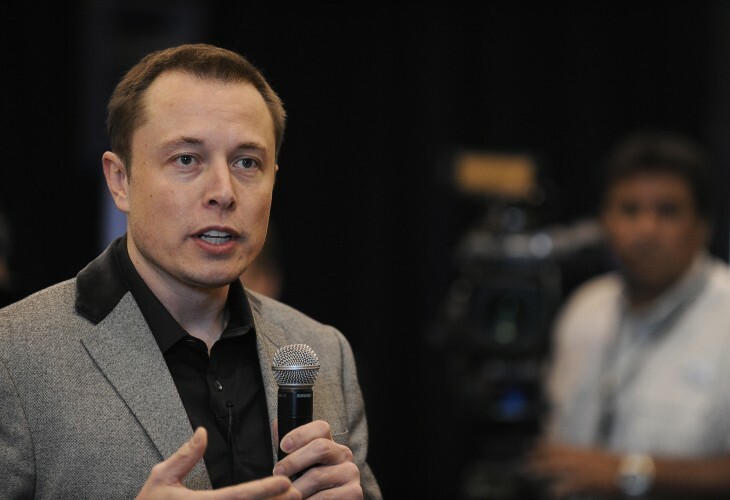 If things go well, Musk thinks that Las Vegas could be added in the future. 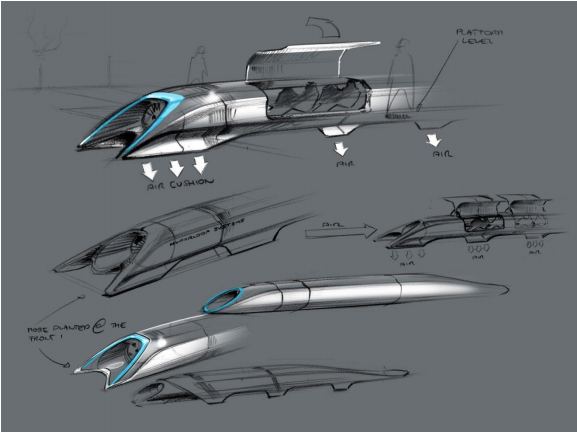 The design of the Hyperloop has been kept secret, but this ambitious plan is something that Musk has dedicated himself to and has literally spent all night getting the initial look to a point where he hopes the public and critics will find informative and (hopefully) impressive. Pulled all nighter working on Hyperloop (as did others). Hopefully not too many mistakes. Will publish link at 1:30 PDT. So Musk is simply going to lay out his vision and let someone else pick up the baton and run with it. Perhaps it’s his vision that transportation be a community-driven one and not something owned by a single person, entity, or company.